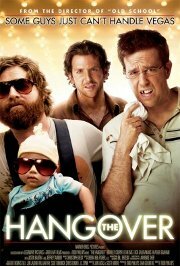 This ''guy movie'' follows the misadventures of three buddies who take their soon-to-be-married friend to Las Vegas for the mother of all bachelor parties. The three wake up the next morning in an expensive hotel room, which has a tiger, chicken and baby for company. The prospective groom is missing. With the wedding date fast approaching, they try to find out exactly what happened the previous night, as well as locate the missing groom.